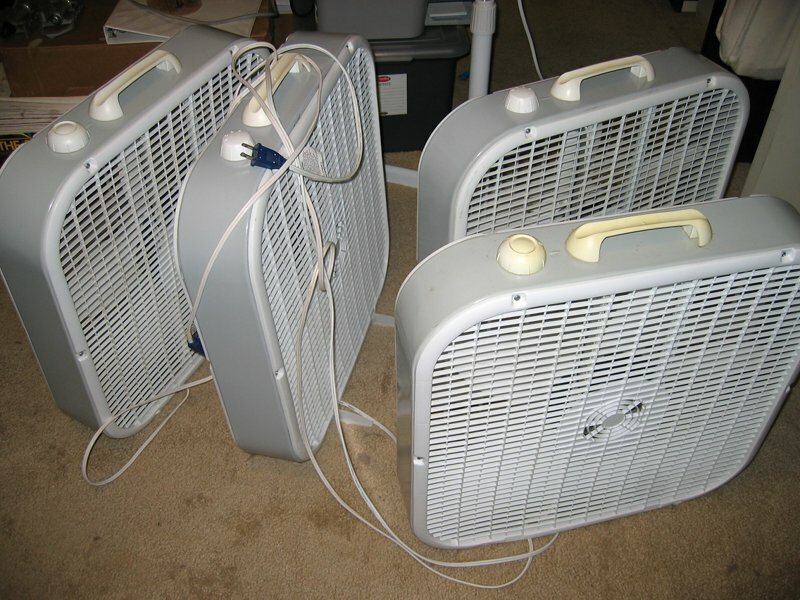 Over the long summer of near-constant use, our fans pick up an unsightly coating of fine dust and cat hair. Today Nimue finished her annual cleaning regime, which involves removing their grills, spraying and scrubbing the filth away, and tightly screwing them back together. It feels good to put items in winter storage in a clean state. It feels even better when getting them out in the spring! Cleanliness might be next to giddiness! Comments welcome … in your seasoned view, which has the better part, the ant or the grasshopper?